I can just about get my head around a planet orbiting two suns, but this: http://www.bbc.co.uk/news/science-environment-19950923 confuses me. 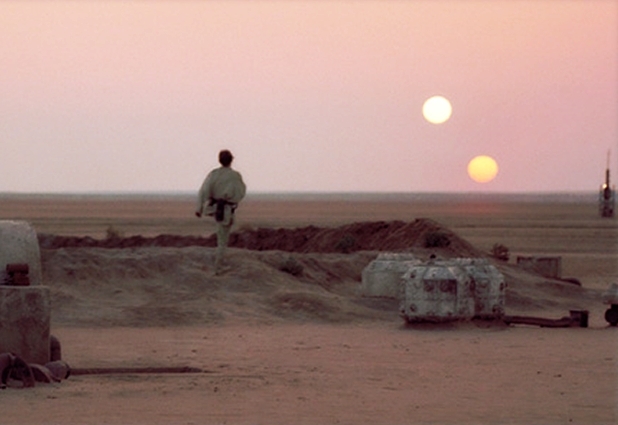 I notice that it says two of the suns are ‘circling’ the planet, rather than ‘orbiting’. Is there a difference? I always think of suns as the giants of solar system so I don’t understand how they can orbit a planet, rather than the other way round. How does this system actually work because all the articles are telling me how amazing this is but none of them actually say how the damn thing works. 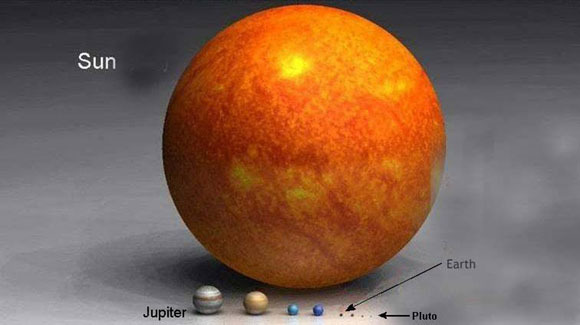 Here’s an interesting fact: if you smooshed together everything in the Solar System that was not a star — all the planets, moons, asteroids and other assorted junk out there — you would end up with a ball of stuff with just one seven-hundredth the mass of the Sun. The Sun has 99.86% of the overall mass of the Solar System. Here’s another interesting fact: if you took a pea and put it next to a basketball, you would achieve roughly the same visual effect as if you took the largest planet, Jupiter, and put it next to the Sun.